We make every effort to learn as much about your business as possible so that we can understand your needs and the needs of your target audience. We then come up with a custom strategy that fits your budget, meets your needs and sets achievable goals made just for you. We take everything we have learned about you, your organization, and your target audience, and we bring it all together to make your vision a reality for the world to see. noun. the overall experience of a person using a product such as a website or computer application, especially in terms of how easy or pleasing it is to use. 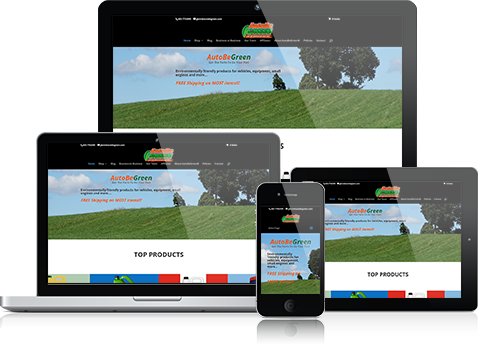 Our custom websites are elegantly designed and are as attractive as they are functional, informative and user friendly. We know what users are looking for in a website. We will provide a design that attracts visitors and converts them into customers. We ask as many questions as necessary to determine what you want, what you like, what you dislike so that we can best understand your needs. Our team of experts has experience in a wide range of web design specialties and we bring them together to give you the best possible solutions. We don’t just design, we code. Our development team helps integrate design with functionality for optimum performance and support. We believe clear and concise communication is essential to the success of a project. We take you through the interview process where we learn about your company, you customers, your products or services and you define your business strengths. Here we take the information from the Discovery process and layout a game plan on how the site will be built, layout, navigation, call to actions and get everyone’s approval on the design. Now we take that plan and make it happen. Our front-end developers, backend coders, graphic artists and social media experts are turned loose to build a site that reflects exactly who you are. Whew! There has been a lot of effort to get here and now you get to present your new site to the world. It’s Go Live time! noun. fulfillment of one’s wishes, expectations, or needs, or the pleasure derived from this. Customer satisfaction is one of our core values. We seek to exceed your expectations every time. Now that you have been through our introduction, check out a little more about our services. Seen enough? Then head over to our contact page and let’s get this party started!